Trigger finger starts as soreness at the base of a finger, then progresses into pain and difficulty moving the finger. Eventually, the finger may lock into a bent position, which is why it’s important to call the team of doctors at Georgia Hand, Shoulder & Elbow while your trigger finger is still in the early stage. 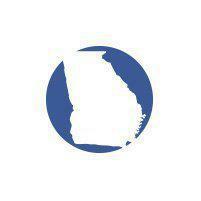 Schedule your appointment at their convenient locations in Atlanta and Marietta today. Georgia Hand, Shoulder & Elbow has experienced orthopaedic specialists who can provide treatment to ensure you retain full use of your fingers. Trigger finger presents as pain in the palm at the base of a finger. The patient may have a painful catching or clicking in the finger. The finger usually locks in the flexed (bent) position and straightens with a popping sensation as the finger extends rapidly. Tendons in the finger pass through a series of tunnels from the palm to the end of the finger. Normally, the tendon glides smoothly back and forth as the finger is flexed and extended. When a patient has a trigger finger the tendon gets caught on the edge of the tunnel. This happens either because the tendon is swollen, the tunnel is too tight or both. The exact cause of the triggering is frequently unknown. It may be associated with frequent forceful gripping although it is relatively uncommon in young men. It is more common in patients with diabetes, renal failure, rheumatoid arthritis and other systemic diseases. A trigger finger may start with a soreness or pain in the palm at the base of any finger. The thumb is the most common, but any finger may be affected. The patient may then start to feel a click and pain when the finger is flexed and extended. As the problem worsens, the patient notices that the finger stays flexed (bent) when the patient tries to straighten the finger. The patient then has to extend the finger with their other hand which can be very painful. A trigger finger is easily diagnosed by means of history and physical exam. X-rays of the patient's hand may be taken to look for other problems such as arthritis. Non-steroidal anti-inflammatory medications will help with the swelling and soreness. A steroid injection (that is injected into the tunnel but not into the tendon) is frequently helpful in relieving the pain and triggering. The injection is safe and may be repeated is needed. At night a splint that holds the finger straight is used to avoid the patient sleeping with the finger in a locked position for hours. There are cases where non-operative therapy is less likely to work. If the trigger has been present for over four months, it is associated with diabetes or rheumatoid arthritis, or the finger is constantly locked or contracted the doctor may recommend proceeding directly to surgery. The surgery to release a trigger finger is very reliable and safe. The tunnel (pulley) around the tendon is cut and this relieves the triggering. The surgery may be performed under local or regional anesthesia on an outpatient basis. A small incision is made over the pulley and the nerves to the finger are protected and the pulley is released. This usually gives rapid relief of the triggering and the pain. The incision is sutured and a sterile dressing applied.